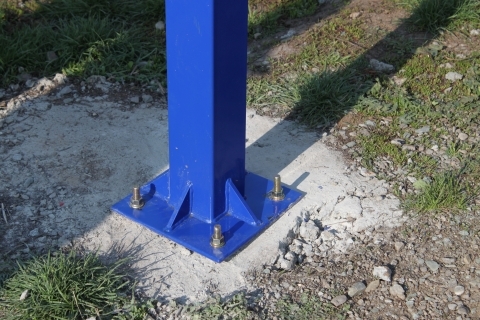 Square steel post 120 x 120 mm with 1.7 m extension arm. 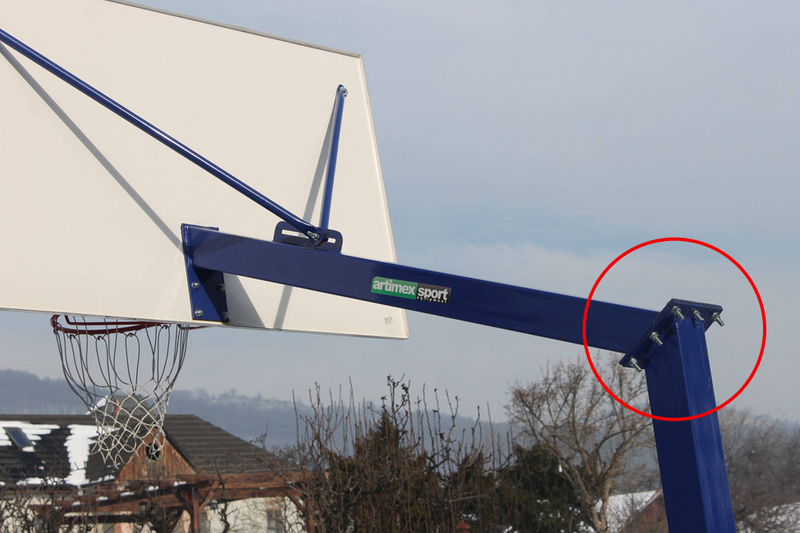 In order to attach the vertical pole to the short arm, the 8 screws will be used. 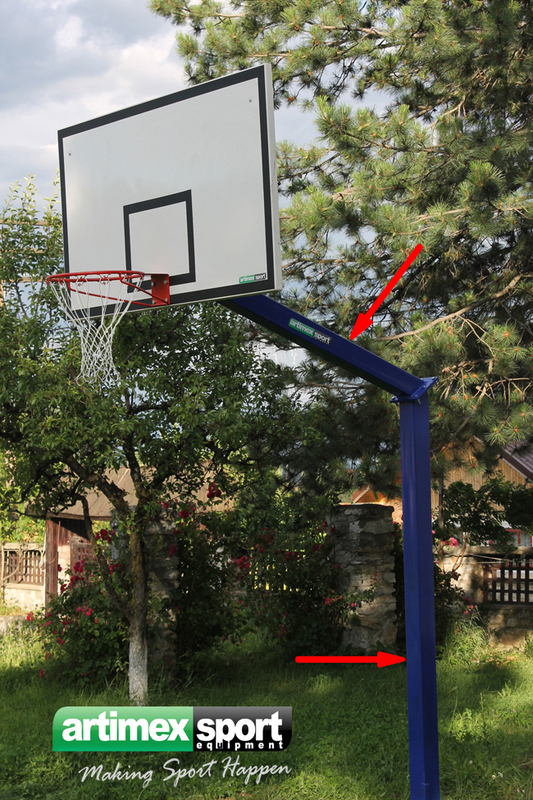 The basketball system could be delivered with metal mounting base and surface mounting bolts, as an alternative to the metal base. No extra charges. FREE UK & IRELAND SHIPPING. For any other countries in the world, please calculate shipping cost via UPS (see example) or request a quote from us. Orders are shipped 4-5 days after being placed.